In September 2005, NASA announced plans to return astronauts to the Moon by 2020. Not since 1972 and the last of the Apollo missions have human beings set foot on our nearest neighbor in space. NASA's new vision, costed at $104 billion, was to have used technology already employed on the Space Shuttle and a modular spacecraft that was described as "Apollo on steroids." The Shuttle was retired in 2011. Orion, which was to have replaced it, was scheduled to enter service no later than 2014. This vehicle would have been shaped like the Apollo Command and Service Modules, but three times larger, and able to carry four astronauts to the Moon at a time. However, NASA's plans to return to the Moon have now been put on hold. 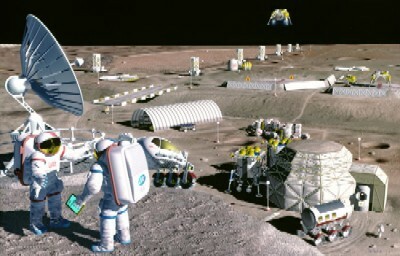 China, too, has hinted that it is planning to send astronauts to the Moon and to establish a lunar base. In 2002, a chief scientist with China's Moon exploration program, Ouyang Ziyuan, said that the country was planning to launch its first mission to the Moon in 2010. He reportedly told the Beijing Morning Post: "Our long-term goal is to set up a base on the Moon and mine its riches for the benefit of humanity."